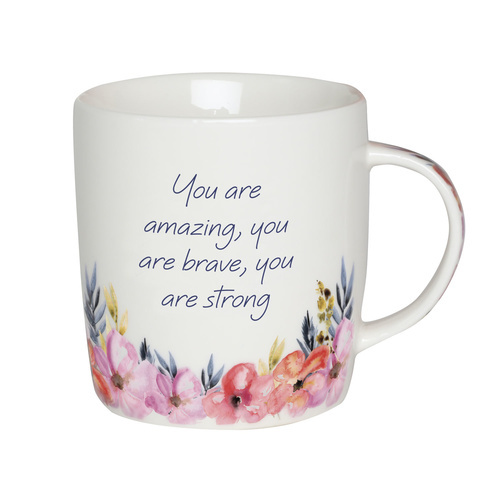 This inspirational Brave mug from the Empowerment collection is the perfect gift for an inspirational person in your life or for promoting positivity and good vibes in your own life while enjoying your favourite drink. 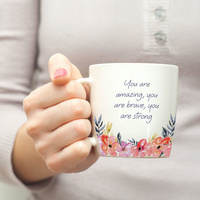 The Empowerment collection features a vibrant pink, coral and orange floral design with pops of navy and yellow, as well as motivational verses printed in navy to uplift and inspire. The Brave mug is a meaningful gift or the perfect addition to your home or office, or anywhere you need a boost of positivity.